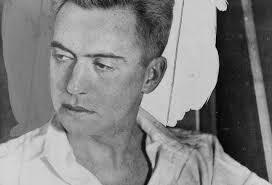 The great but tragic American poet Hart Crane (1899-1932) can’t help but exert a magnetic attraction to composers with his fusion of lyricism, modernism and mad, extravagant fantasy. Of course, no two composers are going to approach this material the same way – until, for a quick, curious moment, they do. Crane’s six-part love poem Voyages became a pair of polar opposite experiences in the second concert of The Crossing’s Month of Moderns festival (June 17 in Philadelphia), where a distinct setting of Crane’s poem, finished in 1926, occupied each half of the program. Both scores were written by Philadelphia-area composers. The first, from 1994 by Robert Convery, was commissioned by conductor Donald Nally for the student choir at West Chester University. 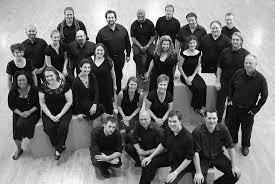 It’s a clear, conservative a cappella setting that included every last word of Crane’s poem, set syllabically with subtle word painting accomplished by splashes of unusual harmony and unexpectedly modal melodic turns. The other was Voyages, Cantata No. 2, composed only this year for The Crossing (with string orchestra accompaniment) by Benjamin C.S. Boyle, who suggested the poem with no apparent prompting from Nally (who admits to having a Crane obsession). Boyle’s more interventionist approach used a thoughtful choice of excerpts rather than Crane’s complete text; what words were there were writ large and forcefully. Convery’s guided tour of the poem had its own brand of emotional neutrality; coming after intermission, Boyle’s score was, emotionally speaking, anything but neutral. Today, one might read this line as being about the risk of intimacy (which is, maybe, the new taboo). Either way – whether it’s about inner life or outer life – it’s in that sentence where composers Convery and Boyle, nearly a quarter-century apart, seemed to join hands. The “sea is cruel” line came out with similar ambiguity, a sense of dark warnings and some odd vocal turns while contemplating the unknown. That speaks partly to the miracle of Crane: All great poetry casts a wide net of meaning, though this one is particularly wide while also being specific. Convery’s approach continues to have a significant and maybe essential place in the body of Crane adaptations, if only because it’s such a wonderful Gray Line Tour of a poet who is, in many circles, unjustly forgotten. But Boyle’s is going to walk off with the ovations, at least to judge from the premiere. The opening explodes with a tension that feels almost three-dimensional, with an almost violent musical gesture and a harmonic tension that speaks to how the composer was seized by love but also committed suicide, years later, after being seriously gay-bashed. Boyle fully accessed our hindsight view of Crane, fashioning his six sections with much purely musical value, which Convery seems to have suppressed in his resolute commitment to the poem’s narrative. Boyle was clearly seized by Crane, but not taken hostage. Boyle’s orchestral writing is fairly simple – unvarnished string counterpoint that doesn’t call attention to itself but has a solidly supportive function, but with scene painting such as the seagull-cry effects in the second “Seascape” movement. The choral writing fearlessly explores the acidic harmonies associated with James MacMillan, though Boyle applied them with greater dramatic specificity. Two arias form the centerpiece of this cantata. And they are truly arias – with the lyricism of song, but without being confined to a melodic symmetry that can so limit the range of expression; Boyle’s writing is a microcosm of the rich, multi-dimensional world of Crane’s verse. No surprise that these arias (and any number of other solo-voice passages in the piece) were sung with charisma and authority by members of The Crossing. Something particularly magical happened at the end of the fifth movement, which is titled “Descent.” The decrescendo of the ending – with the line “What words can strangle this deaf moonlight?” – perfectly coincided with the waning light of the summer’s day. The venue – the spartan Presbyterian Church of Chestnut Hill – grew markedly darker over the course of the movement as clouds set in, only increasing the sense that you weren’t simply hearing the music, but living it. I have to admit that I haven’t done justice to the piece here: so gripping was Boyle’s music that I barely took any notes (which is highly unusual for me). But there’s one thing I know: Voyages, Cantata No. 2 is a breakthrough and isn’t going away. So proud of this brilliant young artist!!!! Excited for him as as he puts such passion in all of his pieces. Sorry I live so far away and missed this! Can’t wait to hear it! It will be worth the trip. Thank you BSCB for your contribution to the music world!